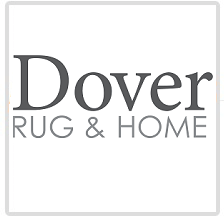 Dover Rug & Home - Boston GreenFest - Aug. 16-18, 2019 - FREE! For three generations, The Jafri family has been designing, weaving, and exporting fine, hand-knotted rugs and carpeting from Pakistan, India and Nepal to Western Europe, The United States and, to other parts of the world as well to serve their expatriate, well-traveled customers. From its humble birth in 1989 a small showroom in the center of Dover, Massachusetts, founder Mahmud Jafri quickly established a reputation for pleasing some of the most demanding customers in the country – his Dover neighbors, who, it has been said, wouldn’t think twice about showing up for a weekend hunt in jodhpurs, chaps and diamonds. 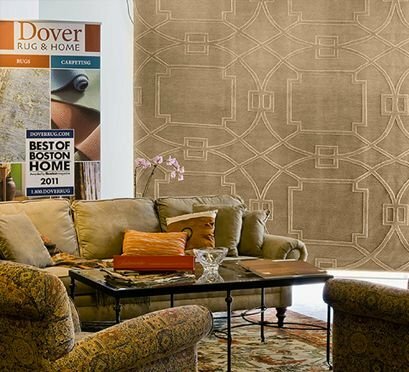 They wanted what Dover Rug & Home provides each and every customer: responsive, truly individualized, services like attentive in-home design assistance and shopping to one-stop repair and maintenance programs for every piece sold. Wellesley Hills. And, Dover Rug & Home’s reputation just kept on growing. A few years later, in February of 2000, Dover Rug & Home opened a second showroom in Hanover, Massachusetts. A year later, it had outgrown its Wellesley Hills space and moved to a 30,000 square foot showroom in Natick. And, in the Spring of 2005 the Hanover showroom moved down the street to more accommodating facility. Dover Rug & Home has always been quite a bit more than your ordinary retailer. Dover Rug & Home has its own manufacturing facilities in Pakistan, India, and Nepal, which can produce custom-designed one-of-a-kind hand-knotted rugs to dress-up your floors or adorn your walls. And, because they are woven in Dover Rug & Home’s overseas facilities, the costs for our custom products are often very competitive with “run-of-the-loom” rugs sold by other merchants. We are grateful for the generous loan of a large rug for our Main Stage during this year's Boston GreenFest! Click HERE to learn more about Dover Rug & Home and get excited about their beautiful collection!